Motorola Service Contract - 5 year - Software Support for all MCD terminals, Px60, Px70, CA50, MT20xx and the MK series. Incl.phone support & software maintenance. Price per device, qty 251-1000. Not for wireless infrastructure, other scanners, or other software products. Protect your investment with a Service Contract for the MC75A. Ensure the highest possible productivity throughout the life of your new MC75A by purchasing a service depot repair contract. Simply ship your item to our repair depot and it will be returned quickly in like-new condition. 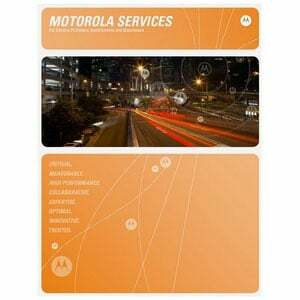 The Motorola SWS-EMHW-1000-50 is also known as SYM-SWSEMHW100050	or SWSEMHW100050	.